WESTBURY, NEW YORK--(Marketwired - July 11, 2016) - Nothing slows your work schedule down more than a pesky, hard to find refrigerant leak. 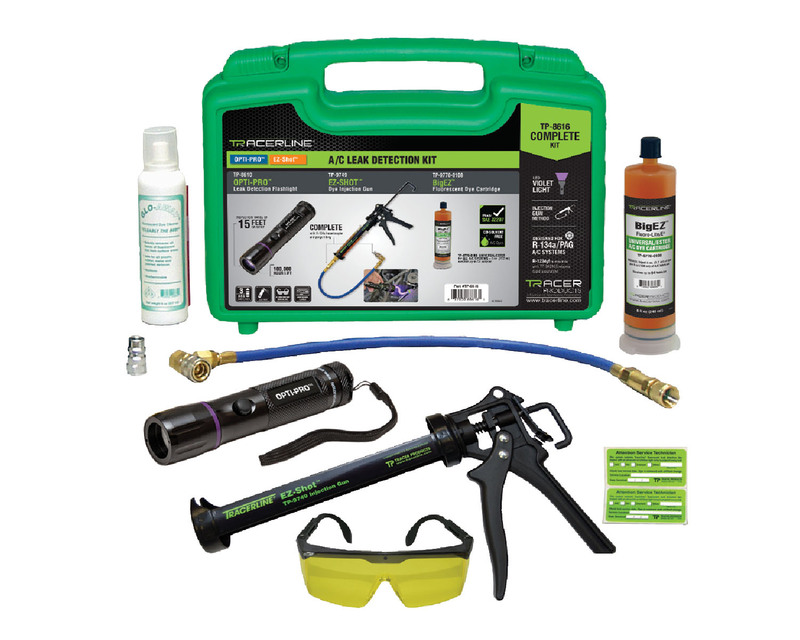 Tracerline® OPTI-PRO™ EZ-Shot A/C Kit (TP-8616) is an economical way to implement preventive leak maintenance plans. That's because this one kit makes it easy and economical to find air conditioning leaks the very first time you use it…and every time after. 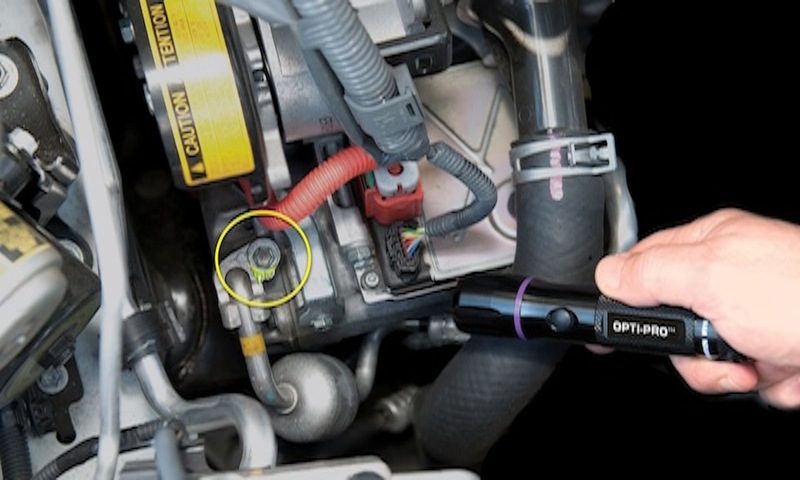 The work horse of the kit is the OPTI-PRO™ cordless, "true UV" (violet light) LED leak detection flashlight (3 AAA batteries included). The OPTI-PRO has an impressive 100,000-hour LED service life. And with power comparable to high-intensity, 100-watt lamps, it provides optimal fluorescent dye contrast and responsiveness up to 15 feet away (4.6m). Everything comes packed in a convenient and durable carrying case for easy retrieval and storage. The best thing about Tracerline dyes is that you don't need to waste time or money flushing them away. Because they can safely stay in the system, Tracerline dyes become your most cost-effective method for finding future leaks too. Also included in the OPTI-PRO EZ-Shot A/C Kit: - an 8 oz. 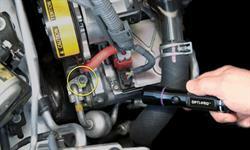 BigEZ™ universal, co-solvent free A/C dye cartridge that services up to 64 vehicles - an EZ-Shot™ A/C dye injection gun with hose and coupler - an 8 oz. spray bottle of GLO-AWAY™ dye cleaner - fluorescence-enhancing glasses Everything comes packed in a convenient and durable carrying case for easy retrieval and storage.